Countless sermons have been preached from it. I’ve heard it used at almost every funeral I’ve ever attended. I have both been comforted by it myself and quoted it to offer comfort to others. Apart from John 3:16, Psalm 23 may be the most widely known and most beloved passage from Scripture ever. Since it has such power to encourage and comfort and lift, I am choosing to focus our attention for the next 5 days on The Good Shepherd of Psalm 23. And while I am a preacher by career, I hope to present my thoughts in such a way that even those who are not Christ-followers can see how incredible it is to belong to the Good Shepherd. Jesus calls Himself “the Good Shepherd” in John chapter 10. I say that only to give us some point of reference as to who it is we will be looking at over these five days. And I hope we find our hearts drawn to Him as we go along. I have been given one of those handshakes when someone slips you a $20 bill or a $100 bill in a time of need. We have received the proverbial check in the mail when we didn’t know where the money was going to come from. I’ve also had work provided when I needed income. And whether through work or gift, I have learned that God the Good Shepherd always provides for His sheep. And not just financially. Psalm 23, verses 1-3 point out that the Good Shepherd provides all we need… food to eat, water to drink, our daily normal human requirements. But He also provides for our rest… and our peace… and our emotional well-being. The point is that He knows what we need and He provides it. He knows what we need on every level, and He knows how to provide for each one of those needs. 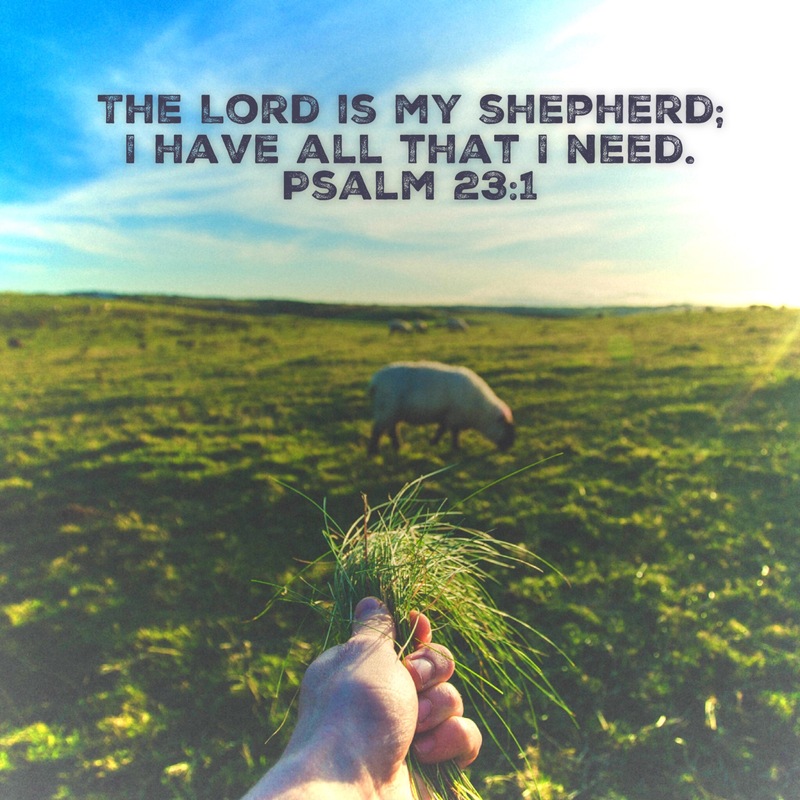 With Him as your Shepherd, your every need is supplied. It’s a great thing to be provided for. As kids, we don’t usually understand all that our parents were doing to provide for us. But as we get older (and begin having to provide for ourselves and our own family), we often begin to grasp how much they provided for us. And as God’s kids… as the sheep belonging to the Good Shepherd to use David’s analogy… we are completely provided for. If you feel like you are lacking something today, ask the Good Shepherd. He knows how to provide for your every need.